Cuba Nearing Half Billion Dollar Marketplace Valuation For Cruise Lines — U.S. - Cuba Trade and Economic Council, Inc.
May 27, 2017 / U.S.-Cuba Trade and Economic Council, Inc.
And, transporting, housing, and feeding those potential passengers could mean an additional US$110+ Million to United States airlines and US$45+ million to hotels and restaurants located in South Florida. Gross United States airline revenues for 2017, excluding the cruise-related revenues, are projected to be US$172 million for United States-Republic of Cuba routes. The three (3) largest United States-based cruise lines have announced more than 222 itineraries amongst their brands for the 2017, 2018 and 2019 sailing seasons which include the Republic of Cuba. Additional itineraries are expected to be announced. And, smaller cruise lines are also operating in the Republic of Cuba marketplace. Are the three CEO’s: Mr. Frank J. Del Rio (Miami, Florida-based Norwegian Cruise Lines Holdings Ltd), Mr. Arnold W. Donald (Miami, Florida-based Carnival Corporation & plc) and Mr. Richard D. Fain (Miami, Florida-based Royal Caribbean Cruises Ltd) presenting a dare to the President of the United States or enticing the President’s corporate salivary gland? 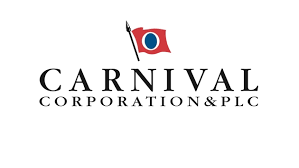 In 2016, the three cruise lines combined operated a fleet of approximately 144 vessels, managed approximately 14 brands, earned approximately US$28.8 billion in gross revenues, and employed approximately 218,000 men and women. If each vessel sails at capacity, a total of more than 372,000 passengers will visit the Republic of Cuba from 2017 through 2019. The gross revenues to the cruise lines from the 222 Republic of Cuba sailings would be projected to exceed US$450 million from 2017 through 2019. United States-based airlines may benefit from gross revenues of more than US$110 million from transporting passengers to/from Florida in conjunction with the cruise schedules. Hotels and restaurants in South Florida could benefit from an additional US$45 million in gross revenues from guests arriving for and/or departing from cruises.